As you study your natal birth chart, you'll see it's made up of a circle that's divided into 12 sections. Each of these sections represents a different zodiac sign and a different "house" of your chart. See the numbers 1-12 that go around the chart? Those are the houses! When you are looking at a planet or sign's placement in your chart, the house it's in will tell you exactly which area of your life will be affected by its energy. Every facet of your life is represented in the 12 houses, from your love life and daily routine to your health, family, money, and more. Keep reading to see what each of the houses in your chart means and how they directly relate to what happens in your life! To understand who you are and how you come across to others, you should turn to your 1st house. This is the house that's related to your self-identity: your personality, your physical appearance, and the first impression you make on people. While your complete birth chart will delve into who you are on every level, the 1st House of Self is a general representation of what makes you, you. By looking at the zodiac sign associated with your 1st house or any planetary action going on in this house, you can see how your spirit and moods may be affected and what kind of energy you're giving off. It's all about the Benjamins in the 2nd house! If you're curious where your approach to money comes from, take a look at your 2nd house. This section of your birth chart explains your relationship to your finances and spending habits. Studying any planets in your 2nd House of Worth can make you aware of the money patterns that are either helping or hurting you. What's more, the 2nd house holds messages about your self-esteem, the things you desire, and value you place on yourself. The people, places, and noises in your immediate environment have a huge impact on you. This is what your 3rd house is all about! This very mental part of your birth chart highlights the way you think and communicate. It also relates to nearby places and your relationship with siblings and neighbors. Understanding your 3rd House of Communication will shed a light on how you interact with others, how effective you are at communicating, and where you are mentally at any given moment. There's no place like home! You can learn a whole lot about your relationship to your family, residence, and sense of security by looking at your 4th house. Looking deeper into this area of your birth chart will give you a better understanding of your feelings about your childhood, ancestral roots, maternal influences, comfort, and living arrangements. Your 4th House of Security can explain everything from why you decorated your home a certain way to why you seek comfort from a particular person, place, or thing. The 5th house is like the party house -- it's all about creativity, romance, and fun! Studying what's happening in your 5th House of Pleasure will make you more aware of how you show love, how you express yourself, and your ability to take risks. This house also relates to children in your life and your relationship to them. Understanding what's going on in your 5th house can help you get your ideas across more effectively, become a better lover, and live with a lighter, happier heart. As you move through the motions of your day, your patterns and routines are all influenced by your 6th house! This section of your birth chart is all about your daily life, including your job, health habits, acts of service, and daily routine. By looking at what was or is currently happening in your 6th house, you can stay on top of changes in the workplace or health concerns you should be paying attention to. Learning more about these areas of your life will help you have more control and realize how to take proper care of your physical and mental health for a lifetime. The 7th house of your Astrology chart has a lot to teach you about your relationships with others! This includes all kinds of one-on-one partnerships, but it is perhaps most importantly about your love relationships. 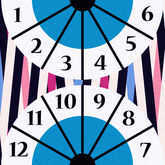 The 7th house encompasses your approach to long-term relationships and how you maintain them. Tracking what is happening in this house can not only show you where your reservations about trust and love come from or why you find certain people or personalities attractive, but can also make you aware of big changes coming to your love life so you can be prepared. What's yours is mine! From physical and emotional intimacy to resources like time and money, the things you share with another person are represented by the 8th house. Wrapping your head around this portion of your birth chart will help explain how you get close to others and what you're willing to sacrifice for the sake of deeper connections. It can also clue you in to periods when you may benefit from something someone else can give you -- like a tax refund or lottery winnings! 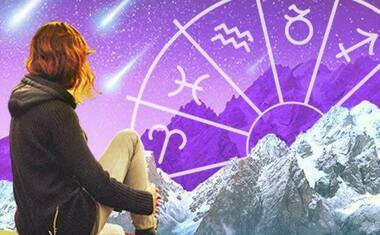 Pack your bags -- it's time for a journey to your 9th house! This house is all about the things that expand your mind and your life, like faraway travel, higher education, and philosophy. If you're eager to learn about a variety of subjects and interested in exploring other cultures or religions, then you likely have some serious activity going on in your 9th House of Expansion. When you understand what's happening in your 9th house you can pinpoint and take advantage of important opportunities for education and travel that will help you lead a more fulfilling life. What do you want to be when you grow up? Do you set attainable goals? What are you willing to sacrifice for success? The answers to these questions lie in your 10th house! Learning about your 10th House of Career will help you understand your relationship to power and authority, how important your reputation is to you, and the methods you use to accomplish your goals. By keeping on top of the planetary activity in your 10th house, you can move more easily through shake-ups in your career life and capitalize on energies that will help you climb higher. There's power in numbers! The friends and groups of people you flock toward are represented by your 11th house. This house is about the people who think like you do, who support you, and who will join forces with you. These are your allies. Your 11th house helps to define the nature of these relationships, so you can be sure you are aligning with people who can bring the most joy, inspiration, and progress to your life. Let's dip out of reality awhile and swim through the 12th house! 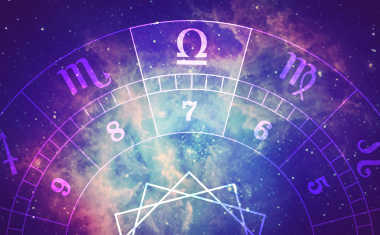 This is a complex and mystical section of your birth chart that sheds a light on your spiritual life, your connection to the cosmos, your dreams, and your subconscious. While these traits and concepts can be challenging to grasp, it's important to study the Astrology associated with your 12th House of Subconscious. By learning the advantages or challenges you face in this realm and working on your inner self to maintain a high frequency, you'll live a much more fulfilling life both physically and spiritually.